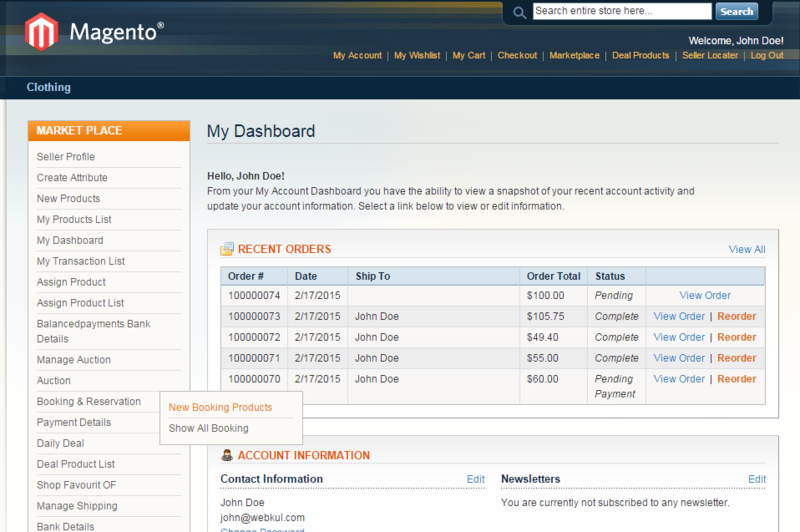 Now adding booking product from marketplace profile is easy to do using this module. Seller can add/edit his booking products and also can see all the booked/reserved product history. This is an add-on for Magento Marketplace Module , to use this module need to install Webkul Magento Marketplace Module first. 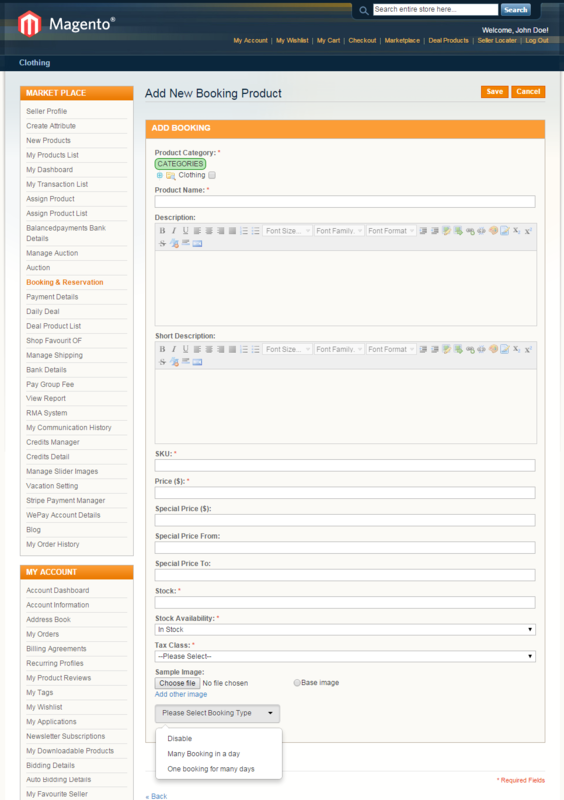 Magento Marketplace Booking and Reservation is an addon for “Magento Marketplace”. 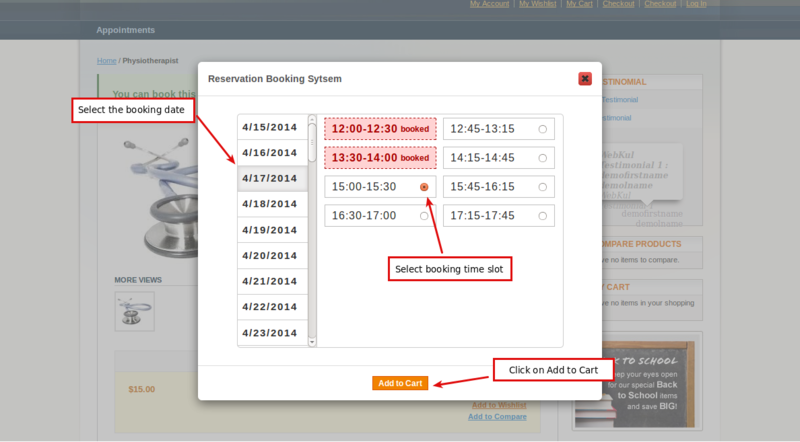 Using this module, seller can able to add their own booking product and can modified booking also. Working well with all browser like chrome Firefox, IE. Seller can add/edit booking product from their profile and add booking slots by two types “One booking for many days” and “Many Booking in a day” and can make it disable also. Magento Marketplace Coupon System module installation is super easy you need to move app, skin folder in magento root directory that’s it as per the screenshot. 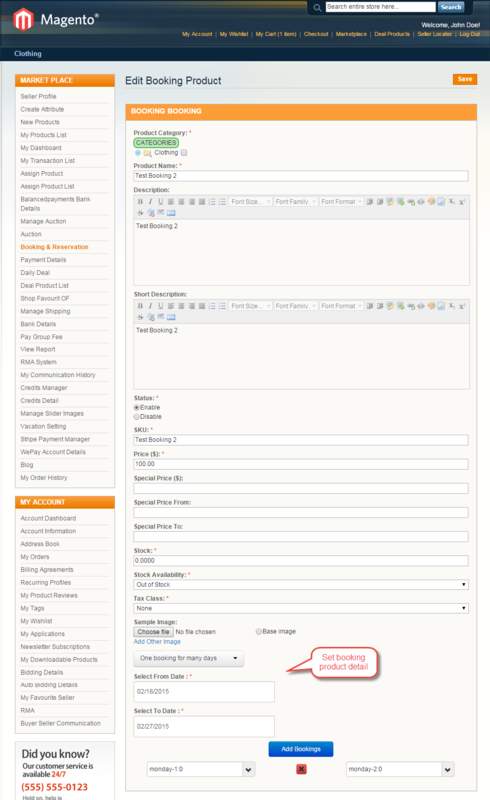 After moving both the folder flush the cache from magento admin panel. Under System > Cache Management. After the successful installation of the Marketplace Booking and Reservation module, you will be able to see the “Booking & Reservation” block inside “Marketplace” block in seller’s account (if the user has been approved as a seller) as per the images. You can see there are 2 links inside Booking and Reservation module to add booking product in store and to see all booking history. One booking for many days. Many Booking in a day. 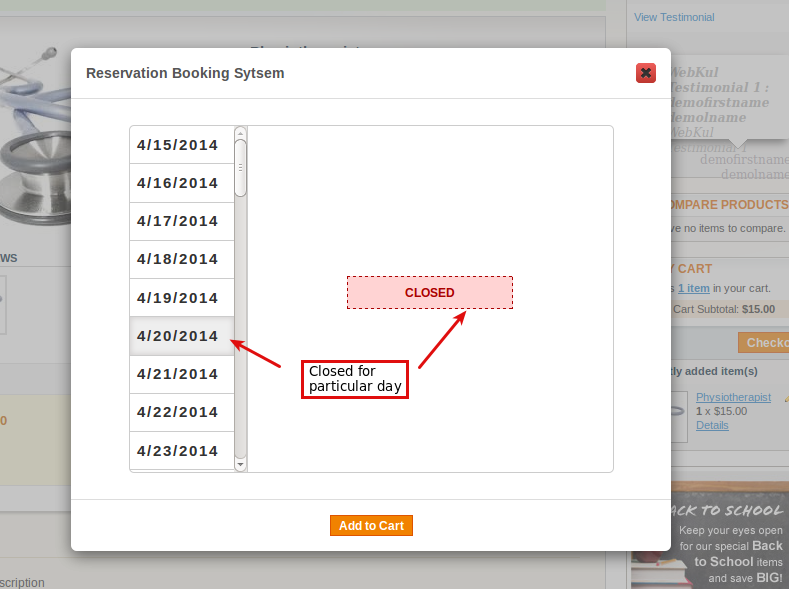 Add booking product screen will look like this screenshot. Here seller can do one booking for many days by selecting date range, time and day. Seller can also do many booking in a day. Seller can set Buffer cache time which is used after each booking. After successful product addition (If in the module admin product moderation is set NO then product will be approved automatically ) seller can edit or delete the added product and can manage by their end using under my product list. Seller can find booking list under Marketplace > Booking & Reservation > Show All Booking. 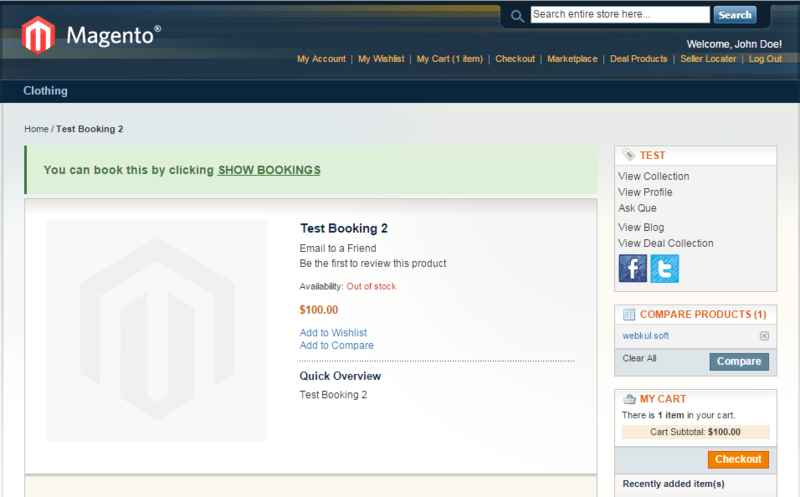 After click on Product name, you will redirect to product page with booking slots. After Click on “SHOW BOOKINGS”, a popup will open in which you need to select your booking date, booking time slot for the event and click on add to cart button. If any particular slot which you want to book has been already booked by someone else then it will show as booked. Also the same case will happen if the event is closed for any particular date then it will display closed. 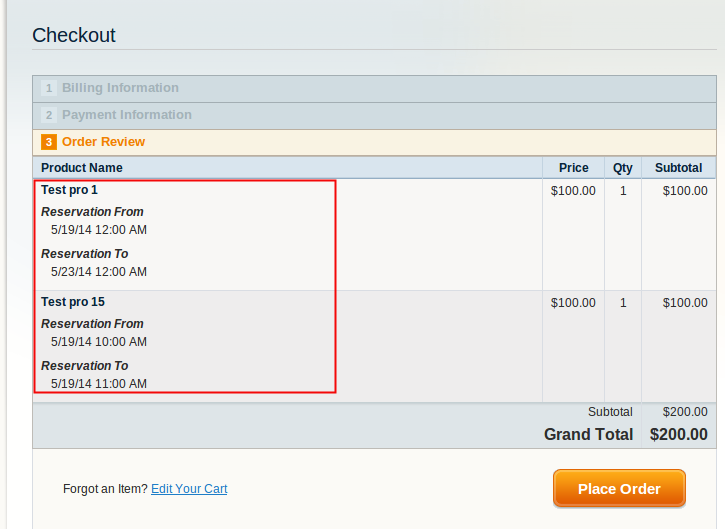 When the user will choose the event, They can checkout and can confirm the timing under checkout page it will be shown as below screenshot. 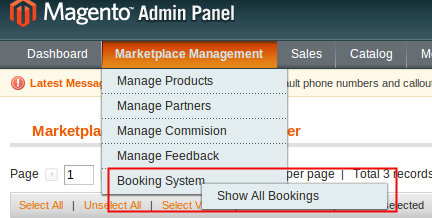 After the successful installation of Marketplace Booking & Reservation module, admin will find a new menu named as “Booking System” under Marketplace Management. 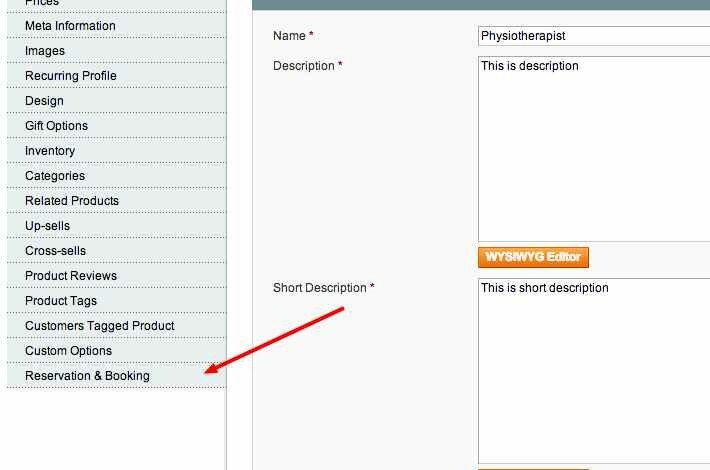 After the successful module installation you will see ” Reservation & Booking ” tab under Catalog -> Manage Products. 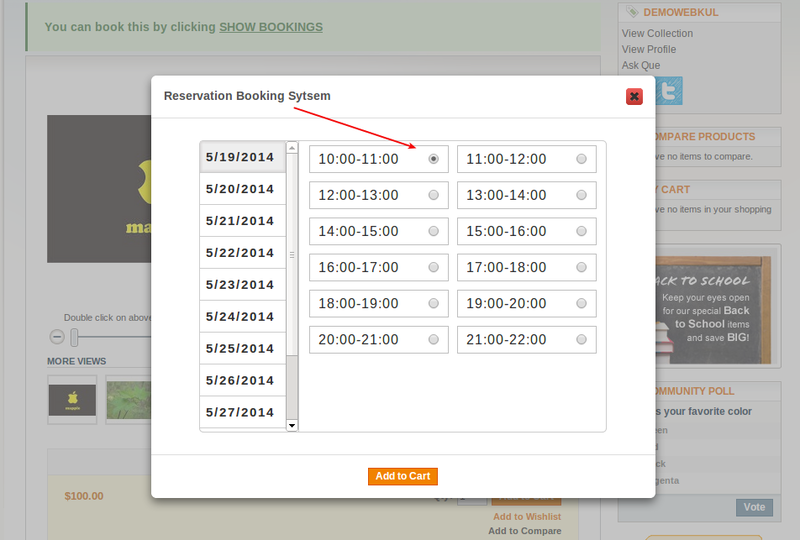 under this tab you need to select the Booking Type (i.e. one booking for many days or many bookings in a day). There are two type of booking. 1. Select “From Date” and “To Date” in which you need to provide bookings. 2. 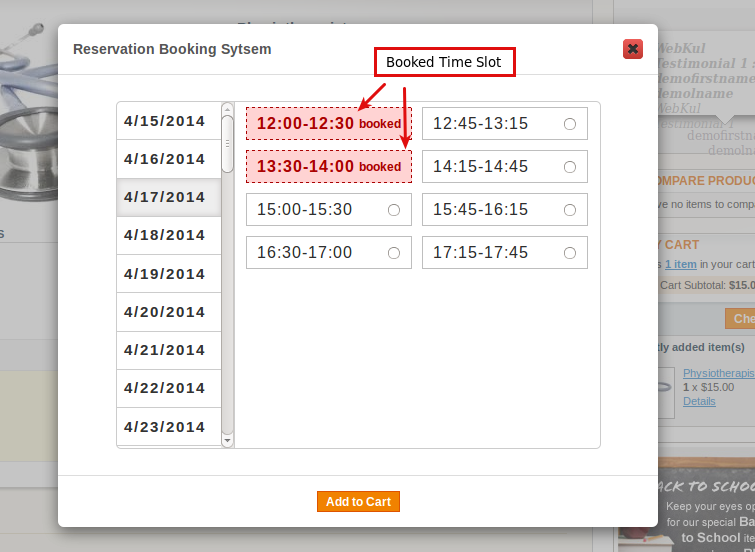 Set booking time slots in minutes. 3. Days start time and days end time for reservation. 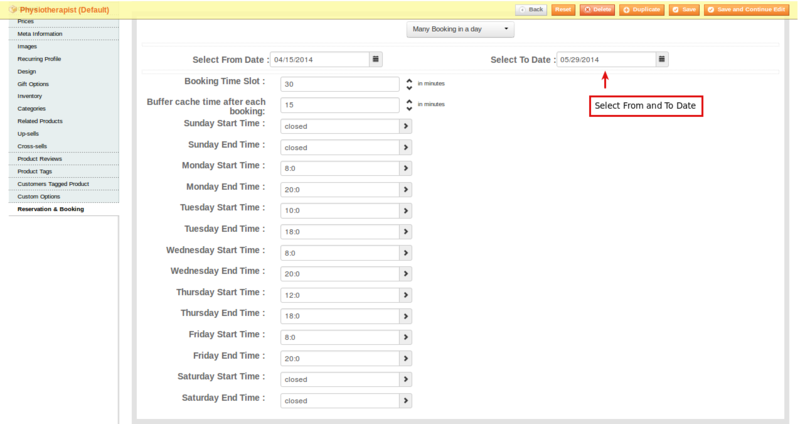 For Date Selection, Date Time Picker is also enabled in the input field. Also we have added open and close panel with slider counter which will follow the module minimalist approach. 1. Select “From Date” and “To Date”. 2. 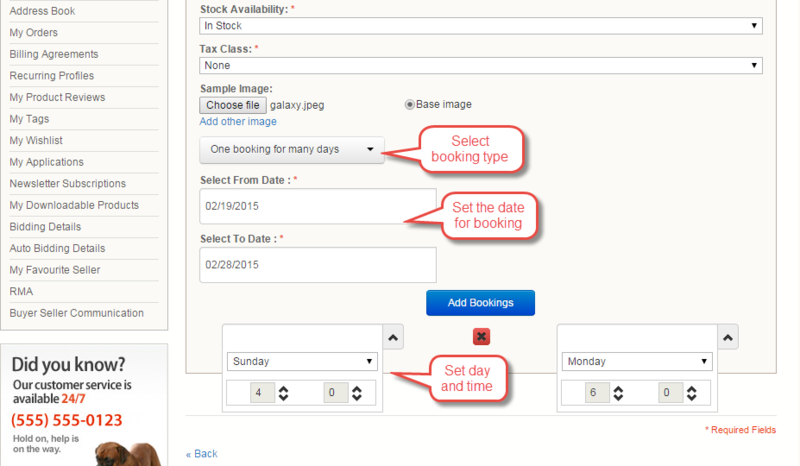 Click on “add booking” for adding booking slots. 3. Select start day and time for booking & reservation purpose. 4. Select end day and time for booking & reservation purpose. 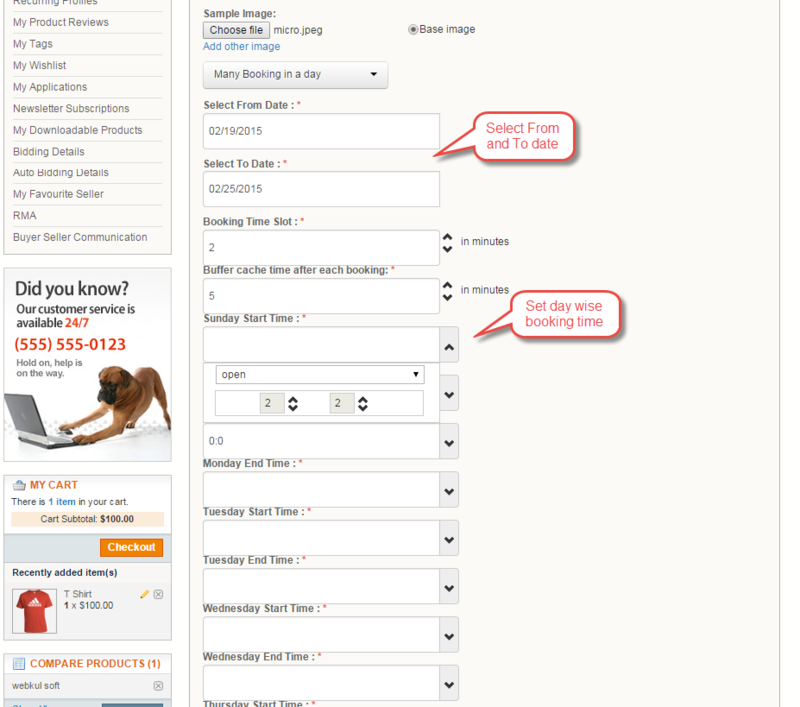 Admin can see all bookings details, view it’s order details and can delete those details as shown in below screen shot. Does this extension also offer reservations / bookings on an hourly basis?